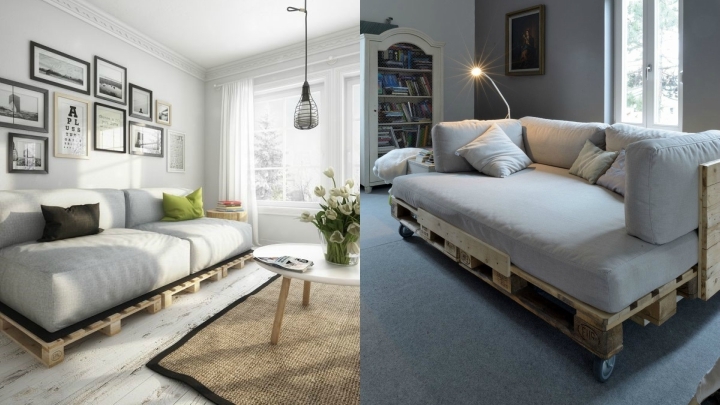 The pallets allow a lot of possibilities when decorating any room. 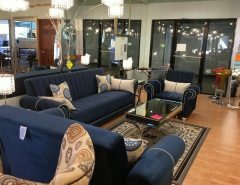 With them we make all kinds of furniture and today I want to give you some basic and simple guidelines so that you can make a very comfortable and decorative sofa. You just have to follow these steps and customize it to your liking. Too easy! How many pallets will you need? Where to place my sofa made with pallets? The number of pallets needed for your sofa will basically depend on the design you want to create. That is, you must think how many seats you will have, what will be its dimensions, whether you want it or not with armrests or with or without backup … When you have everything decided will play with the pallets for it. 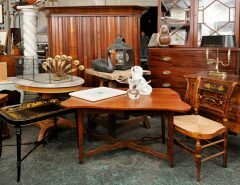 It will also influence the type of pallet you use, if it is wider or narrower … Take good measures to provide you with everything you need for your furniture. 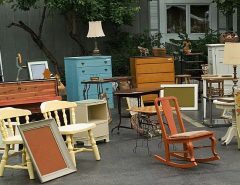 It may be that your design needs to cut some pallets to make, for example, some armrests or to adjust the measurements. If these are adapted to the dimensions of the wood a step that you will be able to skip. Before starting work, make sure there are no nails or any other element stuck in the wood. To work them better sand the surface, edges and corners and you will have the wood ready to be used. Also, it is good that you apply a product that protects the wood, especially if it is going to be outdoors in a terrace or garden. Follow the manufacturer’s instructions to apply and let dry as stipulated in the rules of use. You can leave the pallets with the natural wood (with the corresponding treatment product) or you can also paint them to personalize them even more. If the sofa in question is going to be inside you can adapt the chosen tonality to the rest of the decoration you have in the room. In white are very nice, but the best thing about this piece of furniture is that you can do it as you like. Apply the paint, again, following the manufacturer’s instructions. You can paint it with chalk painter special paint for wood; you can give it a pickling effect or a perfect and uniform finish reaching all the edges and corners. Again, let it dry and apply all the layers you consider necessary so that it remains as you wish. Take the pallets already painted to the place where you want to mount your sofa and hold each piece to build this special piece of furniture. You can glue them with glue and screw them so that everything is more subject and the structure more secure. If you only use the wood for the base, without backrest or armrest, simply go to the next point. Fundamental part of this piece of furniture will be the cushions. The wood structure we already have it but it has to give it the last touch with these elements that should be comfortable and, at the same time, decorative. It includes a mattress on the base and cushions on the back and plays with the pattern of textiles. As I say, the customization can be complete and from many points of view. 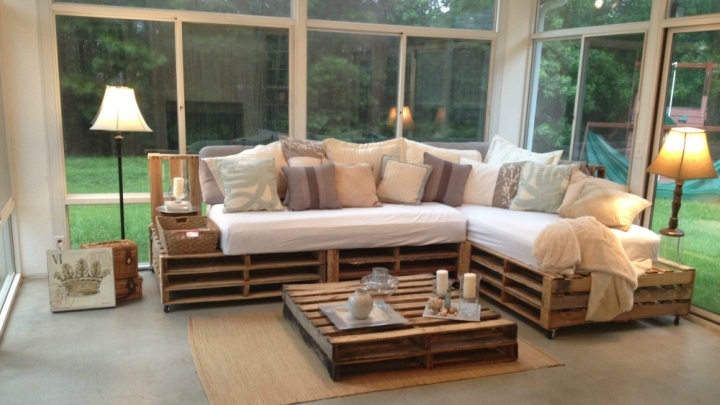 These sofas made with pallets are incredible on a terrace, for example. They are ideal for a chill out area or for that special corner where you can rest, read and enjoy good times with friends. But they will also look wonderful in your inner room. Why not? Great for a Nordic or vintage decoration, for example.